The annual “Moonlight & Miracles” benefit raised funds for a world without cancer. 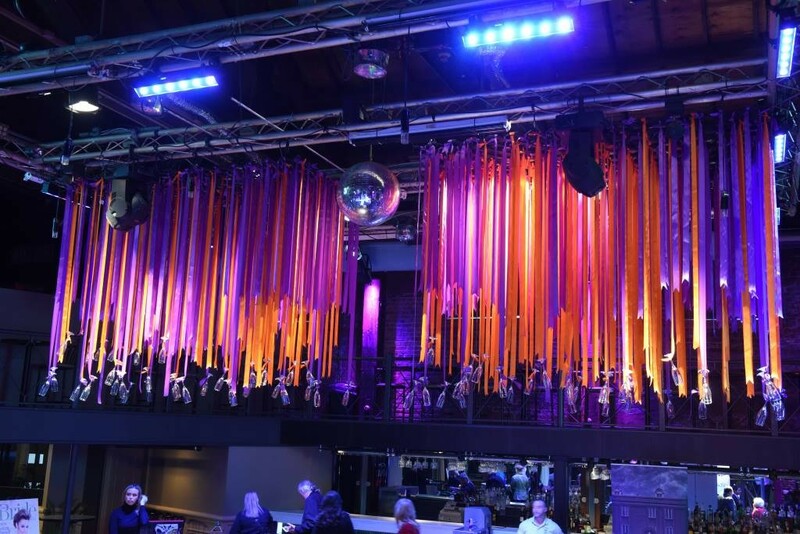 A lavender carpet and tables graced with crystals and white orchids lent a “Moonlight & Miracles” feel to Club XXIV for the annual gala and Patron Party, which hosted 700 guests. A lavish ice sculpture of the PJ’s Coffee logo, in honor of the Patron Party sponsor, adorned the main bar. All catering was provided by Centerplate. The band Better Than Ezra donated a performance for the event entertainment. Patron Party Co-Chairs were Kendall Hales and Jennifer Lauscha, and Gala Chair was Gayle Benson. The event honored Miracle Maker Award Winners Lori Ochsner, Marketing Co-Chair, and Dr. John Cole. At the gala, a moon and stars hung from the ceiling of the Mercedes-Benz Superdome, which hosted more than 2,200 guests. The event included a cocktail hour with music by Big Sam’s Funky Nation, an elegant seated dinner with entertainment by Ronnie Kole and after-dinner dancing under the Gala Moon by Jessie’s Girls. Highlights included four Game Zones throughout the Dome with pass, punt and jump games provided by the New Orleans Saints; a raffle with 60 diverse prizes; and a Hope Garden, which featured a large Tree of Hope festooned with good wishes for cancer patients on its leaves. 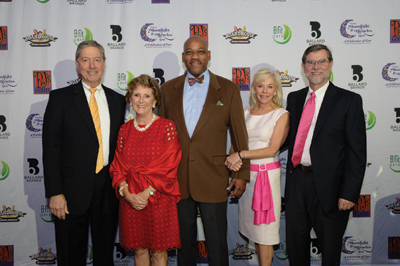 Combined, the “Moonlight & Miracles” Patron Party and Gala raised $1.4 million for the Ochsner Cancer Institute. In conjunction with the festivities, Gayle and Tom Benson announced a $20 million gift, the largest in the history of the organization, to expand cancer care services and advance clinical research within the Gulf South region. What: “Moonlight & Miracles Patron Party,” benefiting Ochsner Cancer Institute.